It is important that you complete all paperwork prior to your appointment. You will find the link to the forms below. Please print the PDF and fill the forms out to bring with you to your appointment. 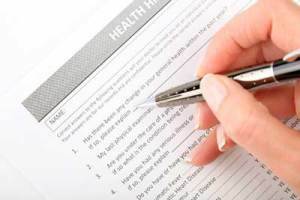 Please request from your physician that they forward to our office all medical records related to your medical condition prior to your appointment. As our time is valuable, we understand your time is valuable too. Our goal is to ensure that all appointments are provided in a timely and professional manner. Failure to provide required information may result in your appointment being rescheduled. The PDF will open in a new tab. Click the PRINT button in the top right corner. *If you are having trouble viewing or printing in Chrome, please update your browser to the latest version. You can find instructions on how to update here.